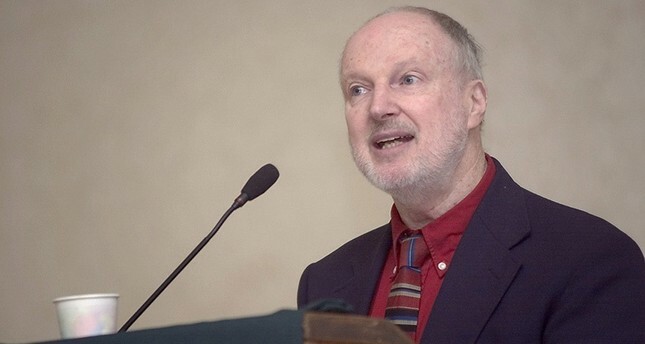 Graham Fuller, former vice chairman of the Central Intelligence Agency's (CIA) National Intelligence Council, whitewashed Fethullah Gülen, leader of the Gülenist Terror Organization (FETÖ) in an article he wrote for the Huffington Post. Fuller likened Turkey's democratically elected President Recep Tayyip Erdoğan to Stalin for the arrests of suspected coup backers, and claimed that Gülen, a man who is known to have commented on almost every political issue in the past 30 years, someone who comes out of an 'apolotical' tradition. Fuller portrayed Gülen, the man whose followers have been infiltrating the Turkish Armed Forces (TSK) for the past 30 years, as a man who 'lacked capability' to organize a coup. He said he does not believe that Gülen was the mastermind behind the coup, although he acknowledges that the movement is shadowy and that its members are known to hide their affiliation with Gülen. In last Friday's deadly coup attempt, at least 246 people were killed and over 2,100 injured. Turkey's government has said the attempted coup was organized by followers of U.S.-based figure Fetullah Gülen, who is accused of a long-running campaign to overthrow the state through infiltrating into Turkish institutions, particularly the military, police and judiciary, forming what is commonly known as a parallel state.